The Real ? 1939 Trans-Atlantic “First Flight Covers” by Stephen Washburne. The July 2018 issue is out and has been mailed to members. 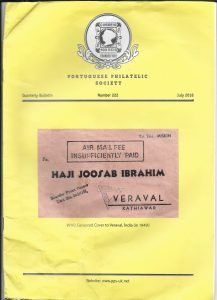 Note : Please renew your PPS membership to continue receiving the bulletin. The April 2018 issue is already in the hands of the members. George Pearson Prize – Please Vote ! Welcome to the PPS. 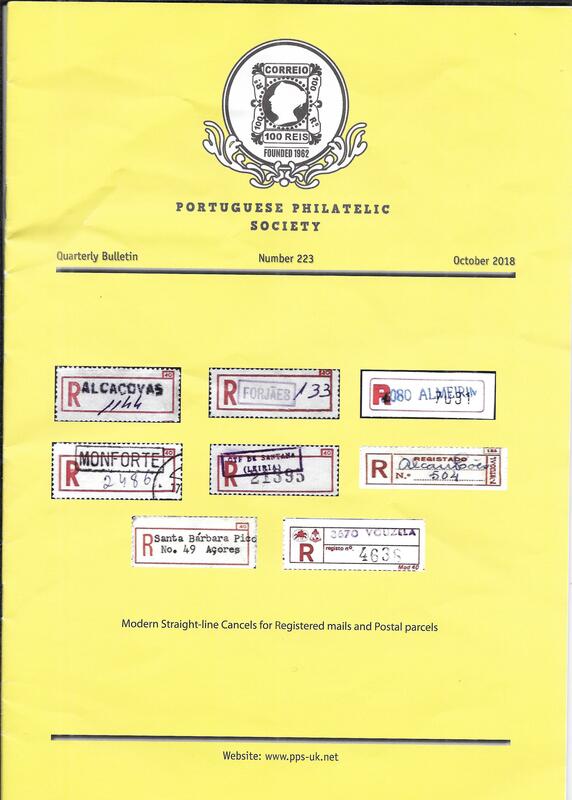 The PPS was founded in 1962 to explore and promote the philately of Portugal and her former colonies. Membership has diversified over the years and we are an international society. We meet regularly, share a common interest and enjoy the fellowship and camaraderie that our philatelic interests bring. 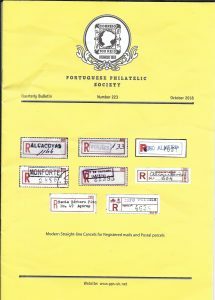 This website will become a portal to Portugal and colonies philately and we encourage inquiry from experts and beginners. I encourage you to join our society, meet with us at our annual meetings here in the United Kingdom and in Portugal and look forward to hearing from you. Tom Poynton, one of our long-time members, died last year and we have recently learnt that part of his collection, entitled ‘Portugal in WWI’, will be coming up for auction next week on the 15th (i.e. 15 March, 2017) at Cavendish Auctions in the UK. 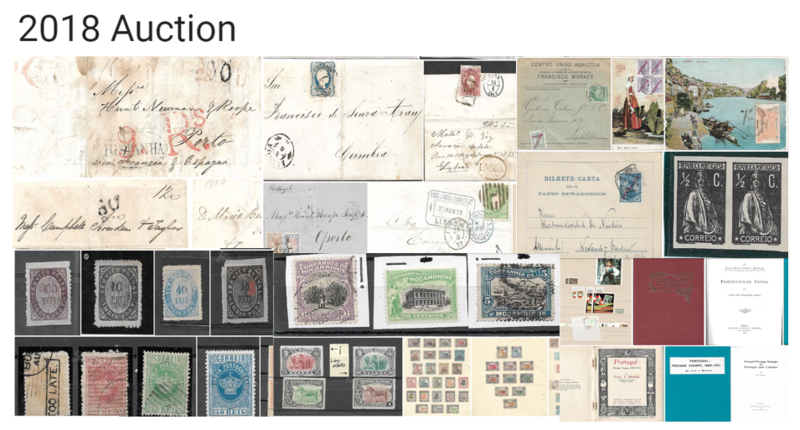 The auctioneers have split it into about 50 lots all numbered in the 600 s. Both Portugal and the Colonies are well-represented. Roger Lawson, our Auctioneer, has produced the catalogue of this year’s auction, to take place on 12th March after the AGM. He scanned all 100 lots. Click on an image and then on the circled ‘i’ in the top right to see the lot number of that image. 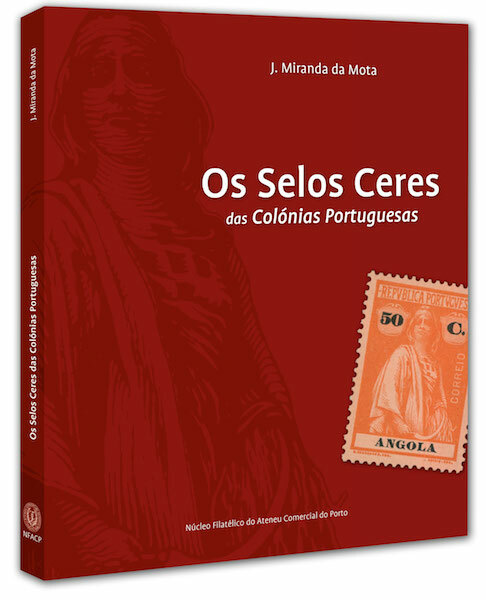 Núcleo Filatélico do Ateneu Comercial do Porto (NFACP) has published a book on the Ceres stamps of the Portuguese overseas territories. It can be ordered from the NFACP for 15€. Postage is 1€ to Portugal, 4€ to Europe and 6.50€ to the rest of the world. This work is an long-standing personal project that began to take shape after the publication of the book “Ceres de Portugal”(1) written in collaboration with my erudite friend of fond memory Eng. Armando Vieira. Time has passed and now the opportunity has come to bring my project to fruition. The genesis of the Ceres stamps from the Portuguese colonies was set out in my article published in 2010(2) and now this analytical study, based on the observation of thousands of stamps, characterises the different Ceres issues from all the overseas territories of Portugal, starting with the issues of Regular Postage up to the Postage Due and Postal Tax issues, covering the period 1913 to 1949. This book is organised in several parts. 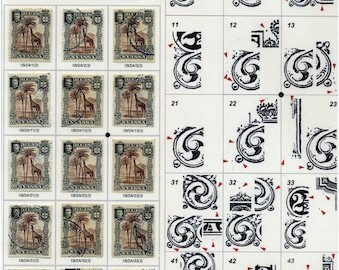 In the first, there is a summary of the different issues from each territory, highlighting the moment when the first stamps with retouched die appeared. These stamps are described along with the start of the new type for Cabo Verde, Guiné, S. Tomé e Príncipe e Angola (1932-1946), printed on “Cruz de Cristo” watermarked paper. In the second part, a detailed description of the various types of paper is given, together with the corresponding classification, in order to facilitate correct identification. This comprises a list of tables by territory and by issue incorporating the types of paper for each stamp. 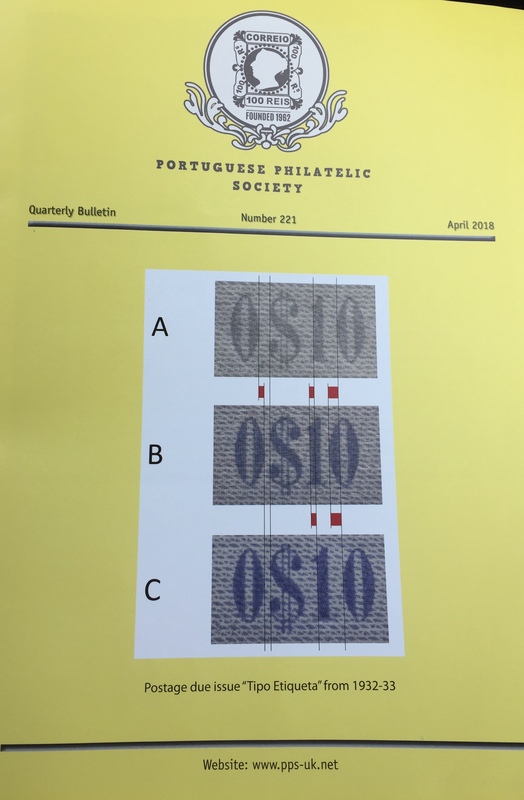 This classification goes far beyond the basic types referred to in the “Selos Postais das Colónias Portuguesas” Catalogue(3), not having previously been studied in these terms. 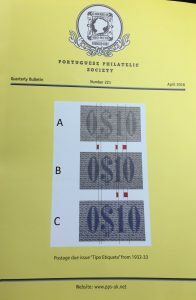 The tables also include the catalogue number, perforation, face value, quantities printed, colour, number of stamps per sheet, and also for each star position its localisation in the sheet and the corresponding quantity printed by paper and perforation. 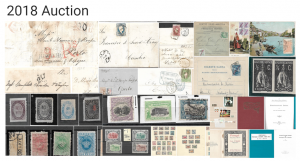 Almost all of these frames are complemented by notes on varieties of cliché, printing errors, quantities printed; defects in stars, stamps which were surcharged or were overprinted, forgeries, and clandestine stamps. 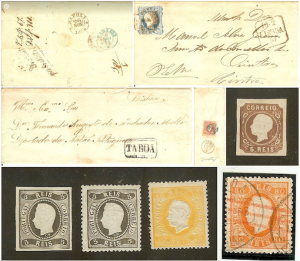 In the first table of each issue of stamps on watermarked paper of the four colonies mentioned above, there are only general references to the dislocation of the printing of the value which, as is known, appeared in the second printing and to small varieties of cliché that were not included in the general list of varieties as they are relatively insignificant. The penultimate part of the book is devoted to varieties of cliché and printing errors and contains the most important varieties prior to the Ceres new type. The book ends with a list of the characteristics of the different compositions of the printing plates (chases of clichés) with, for each, the location of the varieties on the sheet and the number that corresponds to them in the list of varieties. 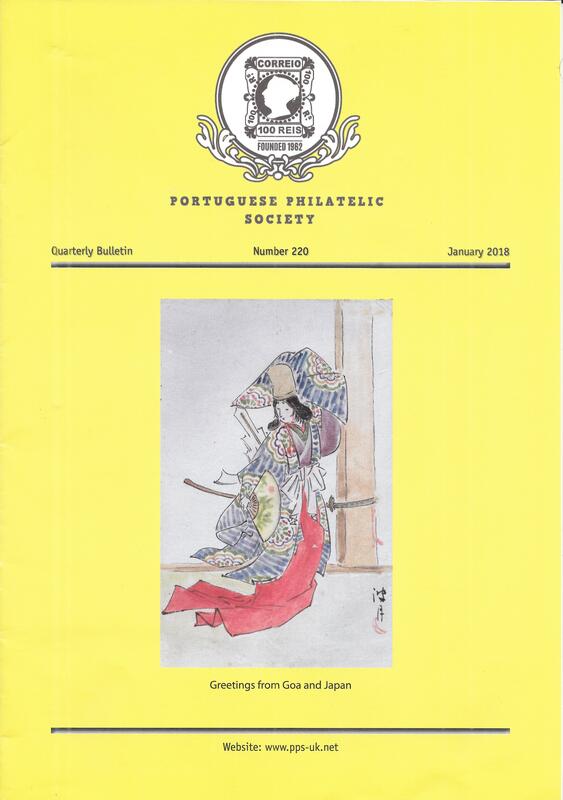 Given the results of this study, particularly in respect of papers, varieties of cliché and some stars positions, the catalogue “Selos Postais das Colónias Portuguesas”, now published by Mundifil, may be updated accordingly in an upcoming issue. 1 MOTA, J. M. e VIEIRA, A. M. O. (1992). Portugal Ceres – Variedades de Cliché. Afinsa, Lisboa. 2 MOTA, J. M. (2010). O Primeiro Selo da República em Portugal e Colónias. Catálogo da Exposição Mundial “Portugal 2010”. CTT, Lisboa. 3 Catálogo de Selos Postais. 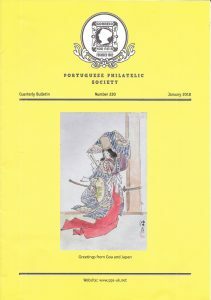 Colónias Portuguesas, 7.ª edição (2015). 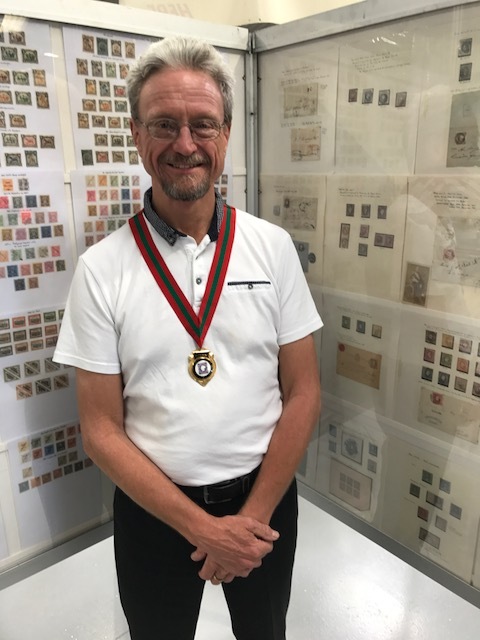 John Dahl has kindly made available to PPS members his five frame exhibit on the Nyassa Company, to be shown at LONDON 2015 next week. The exhibit received Large Gold at LUBRAPEX 2009 in Évora, Gold at STAMPEX 2010 in London and Large Vermeil at JOBURG 2010 in Johannesburg.